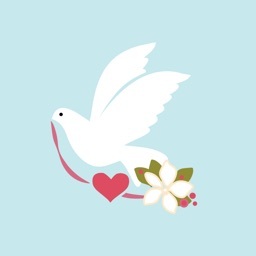 Share the wedding bliss with a delightful bride and groom. 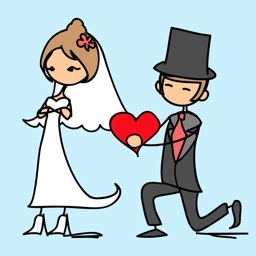 The Bride&Groom sticker pack has a nice selection of wedding related stickers for the bride and groom. 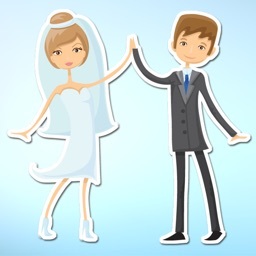 For those who are recently engaged or deep into the wedding plans, Bride&Groom stickers add to the joy. 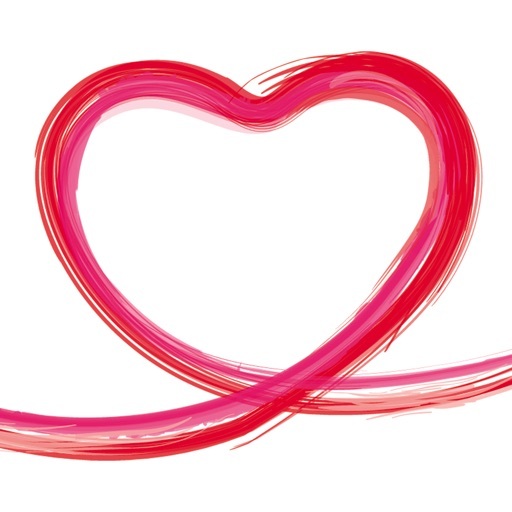 Share the love, romance, and fun while you are planning the biggest day of your life. 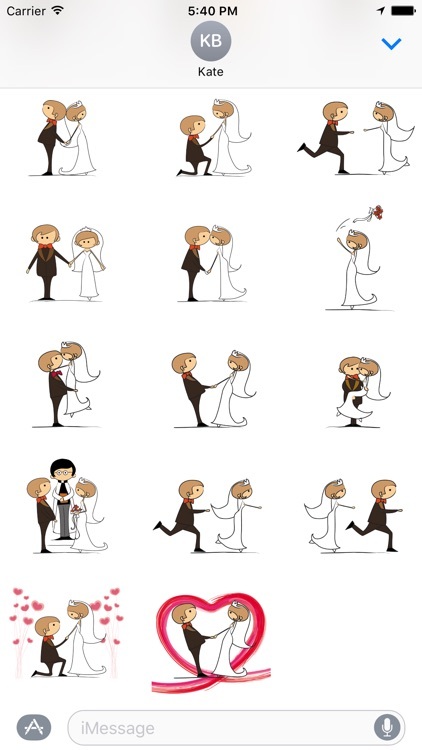 The Bride&Groom stickers offer simple and charming ways to share the happiness of your big day. 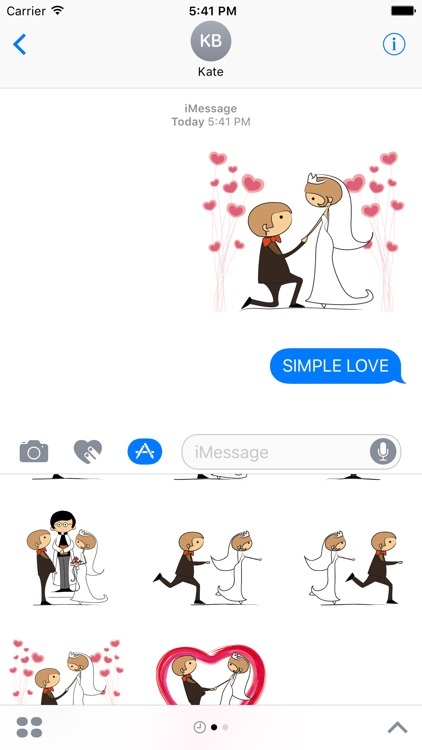 A sticker pack for the 'Bride and Groom'. 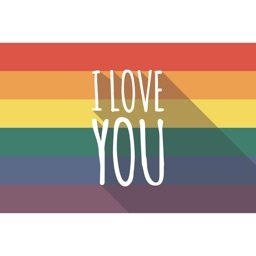 Just send your beloved one a glimpse of love with one of these stickers and make him/her just happy.